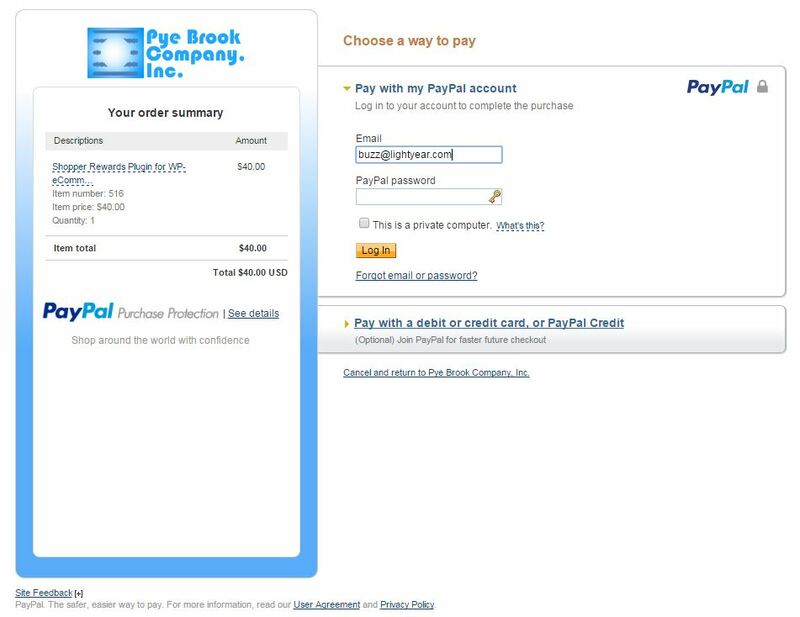 Customizing PayPal Checkout for WP-eCommerce - Pye Brook Company, Inc. Customizing PayPal Checkout for WP-eCommerce - Pye Brook Company, Inc.
PayPal offers a really nice feature that lets you customize the look and feel of the PayPal checkout page to match the look and feel of your web site. We highly recommend that you use this feature to have your PayPal checkout page look similar to your WP-eCommerce shopping cart pages. It makes for a much friendlier feeling checkout experience. But what do you do when you have one PayPal account and multiple stores. The PayPal Payments Standard 2.0 gateway that comes with WP-eCommerce doesn’t let you override the look and feel settings on a store by store basis. And the newer PayPal gateways that come with WP-e Commerce may not be suitable for your store for some reason. There is an easy answer! The PayPal gateway that comes with WP-eCommerce has a nifty “filter” that we can use to pick any of the “styles” you have set up in your PayPal settings. It’s only a few lines of code that you can drop into a file in the mu-plugins directory, or into your theme’s functions.php. This little snippet of code will tell PayPal to use the ‘pyebrook’ style sheet whenever WP-eCommerce sends a shopper to PayPal.